This is a Premier 3D Cricket Ball, and is 6cm. 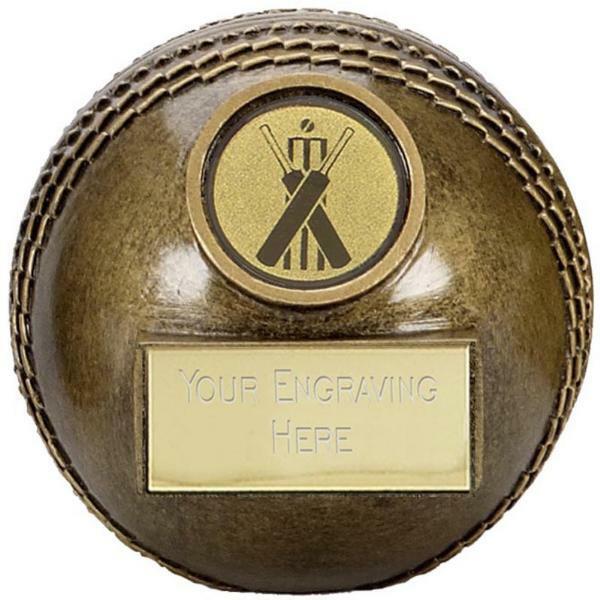 The cricket ball includes up to 50 characters engraved free, with additional letters charged at 15p a letter, on an engraving plate on the front of the cricket ball. The cricket ball is engraved in a standard block font, on the back of the medal. The engraved cricket ball is also available in a larger size which is 7cm. The postage rate for the engraved cricket ball is band B. This product has been discontinued by our supplier although we have a small number still in stock, please contact us for availability.